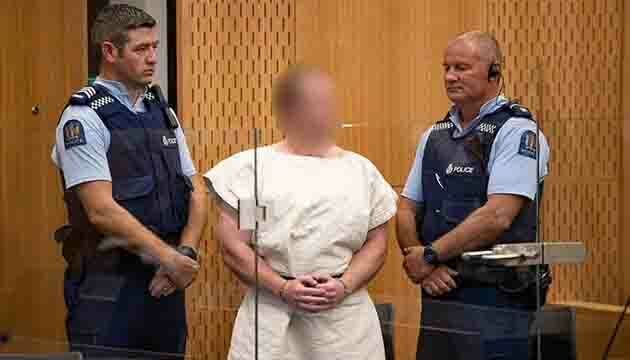 Australian white supremacist Brenton Tarrant, who killed 50 people in a terror attack targeting two New Zealand mosques during Friday prayers last week, briefly visited Israel in 2016, Israeli officials confirmed on Monday. 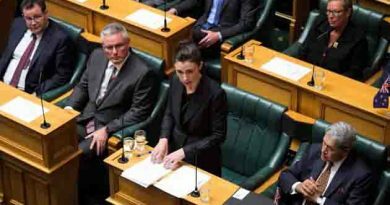 The country intends to amend its gun control laws in the coming days, Prime Minister Jacinda Ardern announced at a press conference today, following a cabinet meeting. 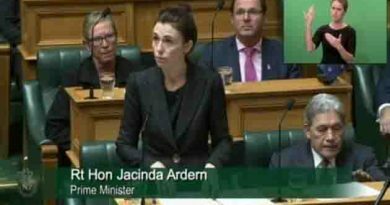 Ardern said her coalition was unified on the need to reduce the availability of the kind of weapons used by Brenton Tarrant as he went room to room shooting Muslims gathered for Friday prayers. “The reality is that after 1pm on Friday our world changed forever, and so will our laws,” he said. A teenager, whose name cannot be published, appeared in court on Monday and was charged with distributing that footage. Grief continued to wash across the nation on Monday, with New Zealanders of all stripes gathering to express revulsion over the killings and unity in the face of racial hatred. A Maori cleansing ceremony was performed at the Al Noor mosque — the scene of the largest massacre — bringing together indigenous Kiwis, Muslim leaders and local officials. Later, dozens of students gathered there to pay their respects, laying flowers and lighting candles. Many came together for a haka — a traditional Maori ceremonial dance that has been performed by groups across New Zealand in the wake of killings. “It brings to mind our own values and why we find this so abhorrent. Ideas held by the perpetrator have no place in our community and school,” the college said. “We believe in the justice system here and we know it will do what is right.” But, he cautioned, the attitudes that gave rise to the killing — documented in a rambling, racist screed released online minutes before the attacks began — must be tackled. “This rise in hatred… by people who call themselves right-wing, whether smaller groups or through reckless politicians, should not be allowed to continue. “What happened to our community here will happen to another community,” he said. The organisers of New Zealand’s largest gun show — the Kumeu Militaria Show, near Auckland — announced on Monday they had cancelled the event in the wake of the massacre and because of “elevated security risks”. David Tipple, the managing director of Gun City, whose online store sold Tarrant four weapons, said he felt no responsibility for the killings. “We detected nothing extraordinary about this licence holder,” he told reporters. 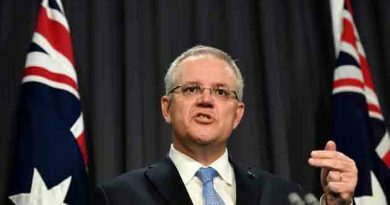 Australia warns citizens ahead of an expected move to shift the Australian embassy from Tel Aviv to Jerusalem.